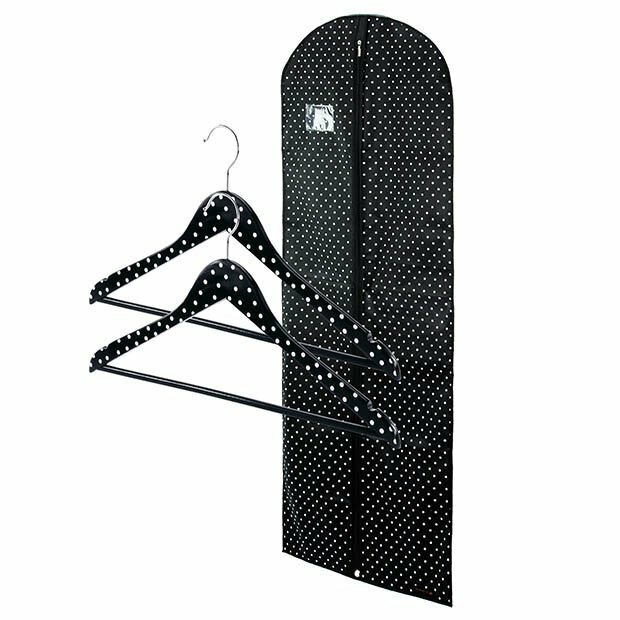 Quality wooden bar hangers in black with white polka dot design. Black with white polka dot design garment cover. As usual Hangerworld has delivered a quality item at an affordable price. Not my first purchase with this excellent company and most certainly will not be my last. Delivery was prompt and I most highly recommend this professional and reliable company that deliver quality products at a more than reasonable price.